Expert window installation doesn’t have to cost more. At FIELDSTONE, we are experts at installing windows and doors, and because of our experience, we get it done quickly. This is a fact that not many in our industry want to discuss. 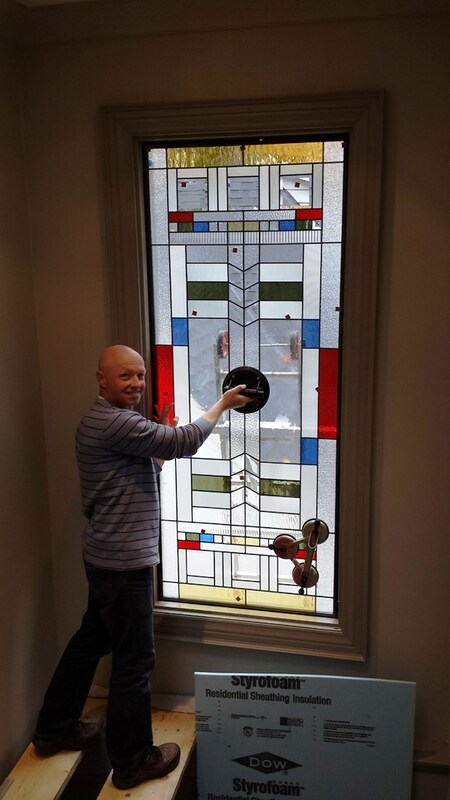 The success of your window or door project is determined more by the quality of the installation than it is by the windows or doors themselves. It is rare that a window or door actually leaks or breaks down. It is because of poor installation. Below is information you should know about how installation is handled by Fieldstone. A quality 3-stage process includes Design, Function and Aesthetics. Missing one of those can lead to poor installation. A bad window installation can start with a bad design. The wrong colour, style or placement of windows or doors can give a confusing architectural message and kill resale value and curb appeal. A window or door installed poorly may be out of square or have insufficient fasteners or improper insulation or sealant. Poorly installed windows and doors don’t open and close as they should. This may cause hinges and hardware to fail prematurely and may cause drafts or leaks. 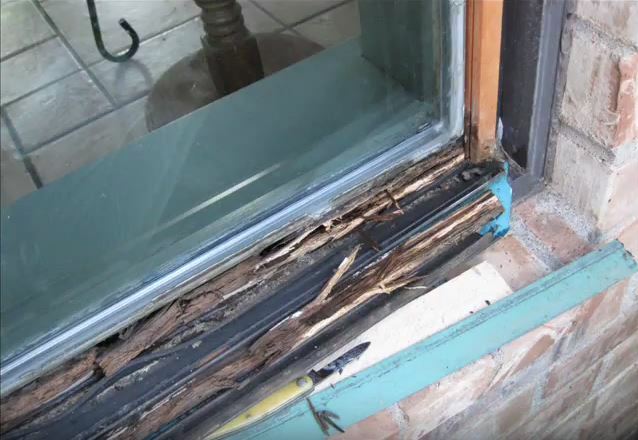 Improper flashing and sealing of windows and doors can allow air and water to penetrate into your home causing rot, mold and insect infestations. WE DON’T OFFER COOKIE-CUTTER SOLUTIONS FOR YOUR HOME. The first step in the installation process is the design / consultation step. You may have seen a style or colour in a magazine or on a neighbour’s house that you love, but it may not be the right choice for your home. You may want to honour your home’s architectural style by trying to match the original look of windows and doors, or completely change character by updating the colour and trim details. At FIELDSTONE, we have a range of custom-made wood, fibreglass and vinyl products to suit your style and budget. A great window or door installation starts with a good design and considers the owner’s tastes, the home’s architecture and the product’s features. Full-frame: The type of installation removes the entire window sash, frame, interior trims and brickmould. This ensures the new window is plumb and level and is insulated properly. You will also benefit from larger glass area and a more consistent exterior look. It can be a dusty process and can lead to minor plaster repairs in older homes. Sub-frame: The sub-frame solution is often a more economical solution. It is a good choice when the interior mouldings are worth preserving or when cost is a factor. The existing sashes are removed, and the new window is inserted into the old frame. Typically a small moulding is applied inside out, or the exterior frame is clad in aluminum. 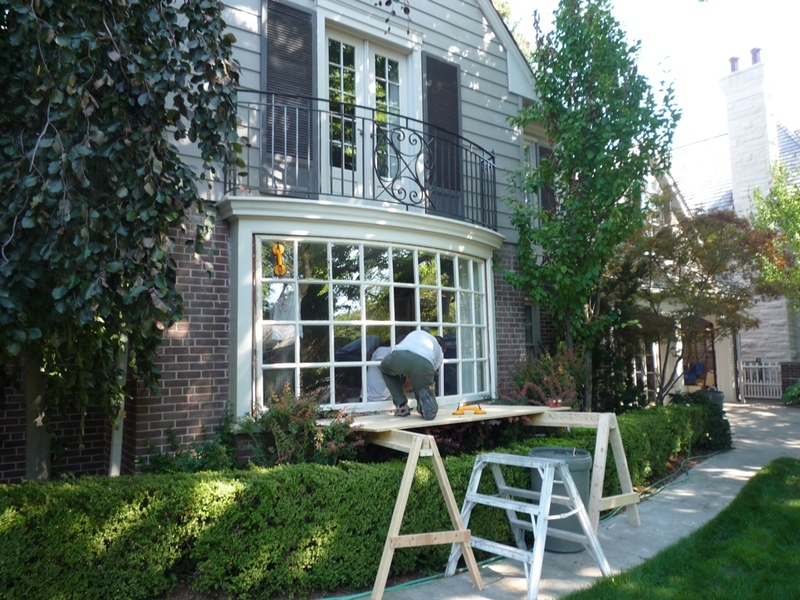 Split-frame: This method of installation is usually reserved for older “weight-and-pulley” double-hung windows, that have large or extensive interior mouldings. 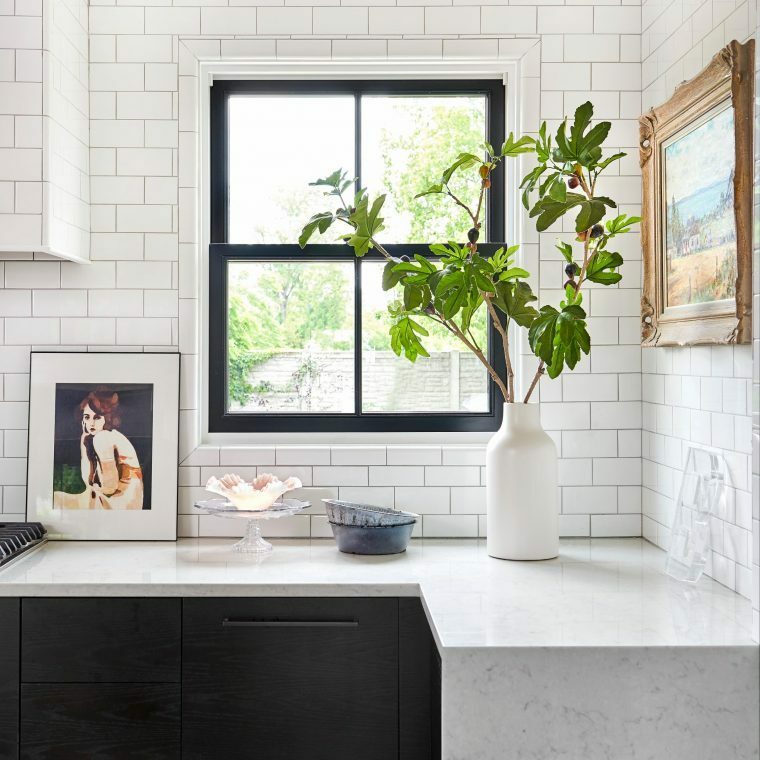 The existing window frame is split in two, to leave the interior moulding and window-stops, but allow the installation of a full-sized new window. This type of installation can be very labour intensive and is suited to specific conditions. All of these methods involve care to your home and care of installation. We make sure your windows and doors are square, plumb and level for the best operation. They should be shimmed and fastened at the proper intervals to prevent sagging or movement and insulated with low expansion foam or suitable insulation. We also use draft-stop tape where possible, and commercial-grade exterior sealants to ensure your windows are leak-free. Your want your home to be beautiful. At FIELDSTONE, expert installation is coherent, tidy and complements its surroundings. Interior mouldings look like they belong and are integrated into your cabinets, tile and wainscoting if necessary. Mouldings are fitted tightly and glued before being nailed to ensure lasting beauty. Wood filler is never a substitute for good carpentry. The exterior mouldings and metalwork also share the same attention to detail. They complement the architecture and never look tacked-on. Fasteners for exterior metal claddings and flashings are hidden when possible, and sealants are tidy and uniform. FIELDSTONE WINDOWS AND DOORS LTD HAS AN INDUSTRY-LEADING 5-YEAR LABOUR AND INSTALLATION WARRANTY. Start your next project with Fieldstone Windows & Doors today!